A regional news website has hired a ‘happiness correspondent’ in a bid to approach news from a more positive perspective. 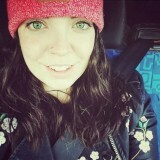 Cornwall Live reporter Hannah Maltwood has been given the title as part of the ‘Happiness Project’, which has also seen the site set up a blog called ‘Kind Cornwall’ to “celebrate the kindness of strangers and the random acts of kindness that go on in Cornwall every day”. Editor Jacqui Merrington admitted in a piece announcing the project that “most of the newsroom thought I was mad” when she revealed the new role, but said Hannah had “instantly embraced” her new remit. Among Hannah’s first stories in her new position have been the tales of ‘snow angels’ who went out of their way to help others affected by the recent cold snap, community leaders inspiring whole towns to give up single-use plastics and a list of the 50 people who make Cornwall a happier place to live. Wrote Jacqui: “The Happiness Project and Hannah’s new role have made us think differently about all our stories on Cornwall Live. We won’t stop writing about breaking news, but it’s turned out focus to make us think harder about how we can tackle some of the big issues in Cornwall from a positive angle. She added: “We’re living in an age where we’re always told social media and the news is making us depressed and increasing anxiety levels. We know there will always be a bigger audience for hard, breaking news and we’ll continue to report that every day. “But we also know there are people who want to switch off from the negativity, who don’t want to see endlessly bad news in their Facebook feeds and Twitter timelines. And there are thousands of people doing brilliant things to make their communities a better place to live. This either a stroke of genius or a massive misjudgment. I’m not sure which, but I hope it’s the former. Either way, it’ll make a great byline! I just hope Hannah can cope with all the joy. Certainly worth a try. After all there is nothing clever about filling up pages and webs with criminals, courts, cops press releases, murders, fires, crashes etc. All just variations of a theme of misery, so this happier outlook might just come off as a contrast. Good news doesn’t sell papers. I remember we did something similar to this at the Hull Daily Mail around 2004 whereby we dedicated a page to ‘happy news’ each day. Needless to say the concept lasted about a week. It appears that the positive news trend created by Hartlepool Life is spreading across the country. This can only be a good thing. Readers are fed up with reading the same Court Reports, drugs busts and road pot hole stories week-in week-out. Good luck to her but this is a substitute for the fact that local newspapers have so few reporters to unearth the things that should matter to local residents – why? because it takes money to do so.